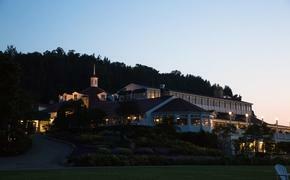 Greenbrier to Open Concierge, Sales Office in Washington, D.C. The Greenbrier in White Sulphur Springs, W.V., will unveil its new Upper Lobby personal concierge and sales office in Washington, D.C., later this month. The Upper Lobby, a 700-square-foot-plus drawing room created by The Greenbrier’s renowned curator Carleton Varney, president of Dorothy Draper & Company, is designed to mirror the resort’s decor. It will be opened to the public at 1427 H Street NW from 8 a.m. to 6 p.m. on Nov. 28, with a ribbon-cutting ceremony at 2pm. The Upper Lobby will be staffed with a concierge team who will be able to assist in the booking of individual rooms and groups at the Greenbrier, including special rates available only through the Washington office. The Upper Lobby concierges will also help Greenbrier-bound travelers arrange bookings with the Greenbrier Golf Club, Spa and Casino Club.